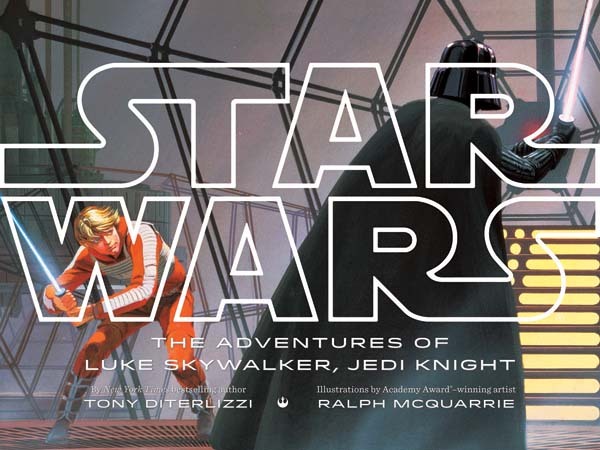 Next week is the release of STAR WARS: The Adventures of Luke Skywalker, Jedi Knight. To celebrate, I’ll be doing events in my hometown, New York City, Boston, Austin and Miami. Along with some familiar faces from “a galaxy far, far away”, I’ll be presenting and signing at my favorite hometown indie bookstore, The Odyssey Bookshop. Space is limited, so you’ll need to RSVP sooner than later. If you cannot make it the shop can take your order and ship a signed book to you. 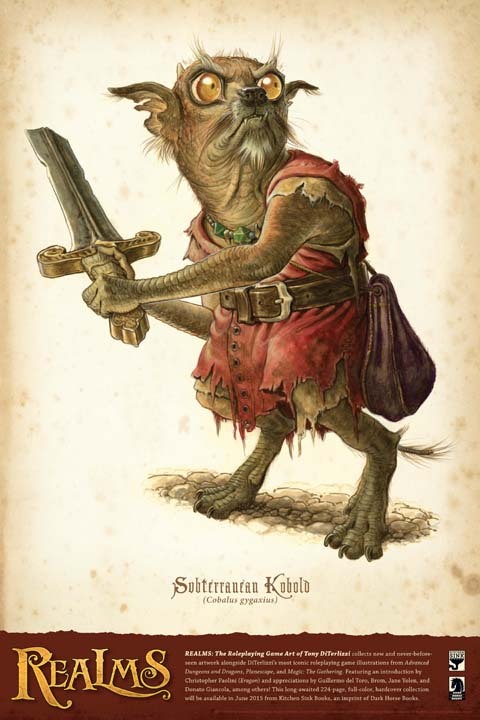 This image of a classic Advanced Dungeons & Dragons kobold marks a return to my roots as an illustrator for the beloved roleplaying game. Along with collecting my artwork from Planescape, Changeling and Magic the Gathering, REALMS will also feature a series of new paintings of some of my favorite monsters and characters from the game that started it all. We’ll be giving out this 12×18″ print FREE at the Dark Horse Comics booth, so come on by! Conflicts in galaxies far far away have entertained us since the dawn of science fiction, but it we owe it to Star Trek and Star Wars helped to bring science fiction to the forefront of pop culture. Tony DiTerlizzi (The Adventure of Luke Skywalker, Jedi Knight), Jack Campbell (The Lost Stars: Imperfect Sword), Karen Bao (Dove Arising), Tony Abbott (Copernicus Legacy: The Serpent’s Curse), Emmy Laybourne (Monument 14), Claudia Gabel and Cheryl Klam (Etherworld) discuss skiffy upbringings and these two influential classics. A formal autographing will take place immediately after the panel at Table 19 in the autographing area. While in New York City, I’ll be participating in “Star Wars Reads Day” at Books of Wonder along with some other notable Jedi, including Tom Angleberger. *I shall be signing at the book signing tent immediately following my presentation. Angela and I will both be presenting and signing at this favorite Florida fair. Look for schedule and details soon.